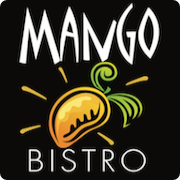 Mango Bistro offers a variety of freshly made specialty foods in a fun atmosphere that includes a colorful decor, artful gifts and world music. We love to create foods that are as inventive as they are authentic. We specialize in combining fresh ingredients in flavorful ways, always looking out for optimum taste and freshness. Our menu includes grilled paninis, gourmet wraps, authentic French crêpes, heartwarming soups, garden fresh salads, healthy breakfasts, pure fruit smoothies, mouthwatering desserts and baked goods, hand-picked wines and beers and specialty coffee and teas.